Emerald Fields i Florens, Italien : Boka nu! Before I start with a description of our place, I would like to thank everyone who has given us their support; we've made this place a unique little emerald for all to share. We're located just five minutes from the train station and just up the road from the Galleria dell'Accademia. Come to Emerald Field for comfortable accommodation, clean, spacious rooms and a great atmosphere for meeting cool people. We have a nice garden outside and a common area where travellers come from all over the world to experience this beautiful, vibrant and historic city. In the morning there's free tea and coffee for everybody. We're happy to recommend information about restaurants, clubs, museums and other sites of interest. Our place is an ideal spot for your travels! New! We're now offering a one-day bus tour of Tuscany. You can get the best of Tuscany in one day! For those interested in experiencing Tuscany's most famous and historic sites, look no further. This tour runs from 8am 'til 8pm and includes a morning in Siena, light lunch at a farmhouse, a visit to San Gimignano, a Chianti drive and Pisa. The price is just '90 per person, including transport, maps and lunch with wine and Tuscan food. Don't miss this opportunity you can ask us about it at reception! Thank you to everyone, Antonio. Please read our Thing to Note below before booking. Super nice place that felt really genuine, and the owner was more than helpful explaining what we should do in the city (what was worth the while and qhat really was not. The best thing was its location though; 5-10mins walking from the train station and 10mins walking tontge heart of the city (the duomo)... we couldnt be more happy! My stay was very good! 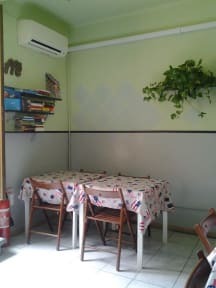 It was my first hostel-experience and it scored really high. 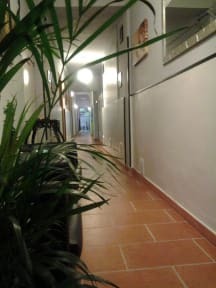 The location is really central, the breakfast is basic but you got what you need for a full day of walking, supermarkets/resturants/bars/cafe's around the corner and helpful and friendly staff, to a very good price! The energy when I was there was good and the staff did a very good job being helpful and made my stay comfortable! Thank you Em.Fields, and a extra thanks to 'our Italien Mom' (the lady), your lovely!